Blend these two together well. Spread out onto a wax sheet of paper approximately 12 x 6 – cover with another sheet of wax paper and refrigerate at least 30 minutes. In a large mixer bowl, combine 1-1/2 cups flour and the yeast. In a small saucepan, heat milk, sugar and salt until just warm (115-120 degrees). Add to dry mixture in bowl along with the egg and extract. Beat until combined and then beat on high speed for 3 minutes. Beat in enough flour to make a soft dough – knead on a floured surface about 5 minutes. Cover and let rest 10 minutes. Roll dough to about a 14″ square. Place the chilled butter on half of the dough. Fold dough over butter and press to seal. Turn dough 90 degrees and roll out to about 20×12. Fold into thirds like a letter, turn 90 degrees and roll again to about 20×12. Do this 2 more times (if the dough gets too soft or too much butter oozes out, cover and refrigerate for 10-15 minutes between rolling). Wrap dough in plastic and refrigerate 30 minutes. The dough is now ready to use. 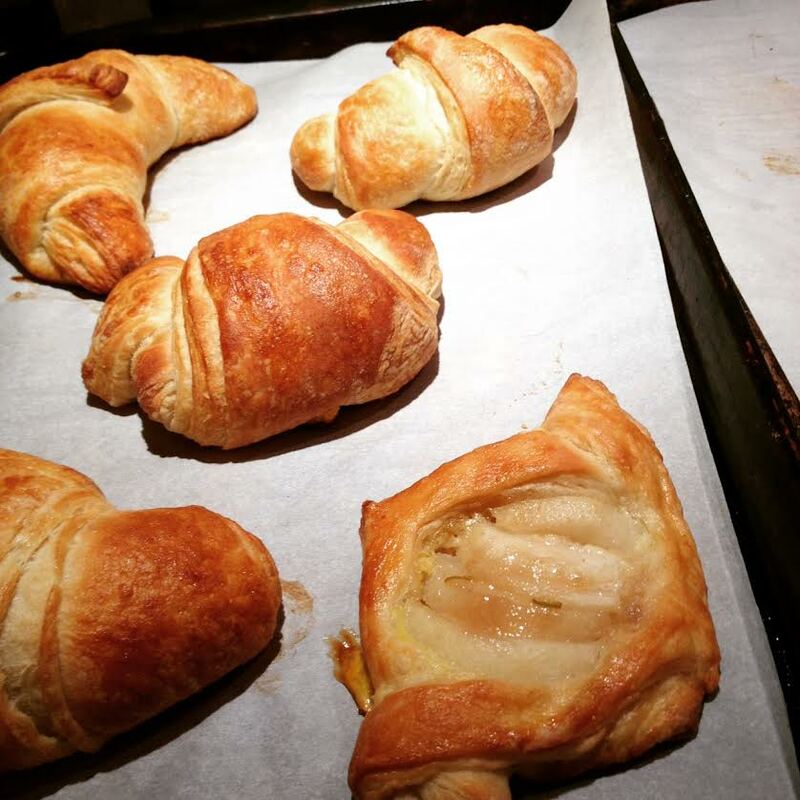 This entry was posted in Recipes, Videos and tagged Danish, Dough, Pastries, Pastry. Bookmark the permalink. Thank you for sharing this recipe, method and answering my email. I can’t wait to try this! I just got back from Denmark! One question, can I freeze unused dough? There are only two of us in the house, and I’d love to be able to thaw a bit as I need it! thanks…amazing site, by the way, Really easy to navigate. Hi, can’t wait to try this recipe for Danish pastry but I have noticed that in the video you say 1/2 tsp salt and on your recipe it says 1 tsp salt. Not sure of the correct amount? Sorry – 1 tsp salt – hope you try the recipe!